The United States today put a spanner in the works of Russia’s title defence by overcoming last year’s Winter Olympic hosts at the Men’s Ice Hockey World Championship in the Czech Republic. 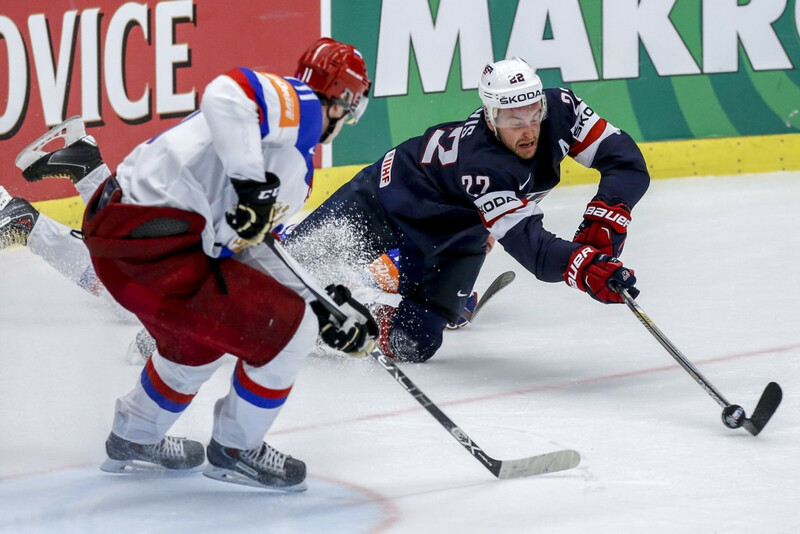 Group B leaders the US made it a three-game win streak as they put in a solid performance to defeat the title holders 4-2 at the ČEZ Aréna in Ostrava. American goals from Trevor Lewis, Torey Krug, Mark Arcobello and Brock Nelson sealed Russia’s first World Championship defeat for head coach Oleg Znarok since taking over the national team last year, as they went undefeated in winning gold last year in Belarus. "Undoubtedly those guys are going to get their chances, their opportunities,” Krug said. "You can’t stop all of them but we did a pretty good job of keeping that number down. “We did well at realising when we had to calm the game down, get the puck out of the zone. Russia now sit second behind the US in Group B. In third place are Sochi 2014 Olympic bronze medallists and last year’s World Championship runners up Finland, who secured a 5-0 victory over Norway. Meanwhile, Olympic champions Canada remain at the top of Group A after defeating the host nation 6-3 at the O2 Arena in Prague. Canada managed a 2-1 lead after the first period despite the tough competition presented by the Czech Republic side and both nations secured another goal in the second period. However, Canadian goals from Tyler Seguin, captain Sidney Crosby and Tyler Toffoli in the third period sealed the game for the Sochi 2014 gold medallists. “We got a couple of power play goals, which definitely helped us," said Crosby. "I thought it was a pretty close game, to be honest. “It probably wasn’t a three-goal difference." Behind Canada in Group A second place are Olympic silver medallists and last year’s world bronze medal winners Sweden, who smashed Latvia 8-1. Action in the Czech Republic is due to continue tomorrow with Switzerland taking on Germany and Austria facing France in Prague, while Denmark go up against Belarus and Slovakia battle with Slovenia in Ostrava.